Towards the end of last year, Maxis announced that it will develop long-term evolution (LTE) or 4G sites in Sabah and Sarawak in 2013, beginning with key towns. 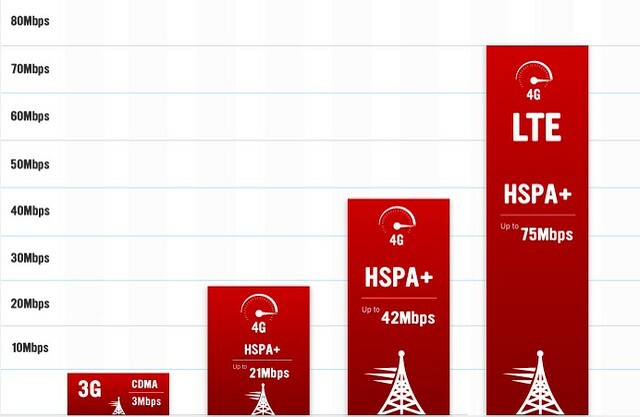 A normal progression to its existing 4G LTE services in selected areas in West Malaysia. This week Celcom rolled out its 4G LTE network and started trial runs with customers. For now the network is only available via USB dongle for RM199 with three months free access, which can be purchased at Blue Cube stores in Sunway Pyramid, KL Pavilion and Menara Celcom. Celcom is targeting to cover between two million and three million people this year. Currently the company's 4G LTE can be found at selected hotspots nationwide within the Klang Valley, Penang, Malacca, Kota Baru, Johor Baru, Ipoh, Alor Star, Langkawi, Kuantan, Kota Kinabalu, Kuala Terengganu and Kuching. Maxis current 4G LTE coverage is pretty limited to Klang Valley area and its surrounding. Celcom came in later but offer wider coverage - areas in Selangor, Federal Territories, Johor, Malacca, Penang and Perak. TheGreenMechanics: The coverage is enough incentive to migrate to Celcom eventually. But for now, I'm happy with Maxis 3G.